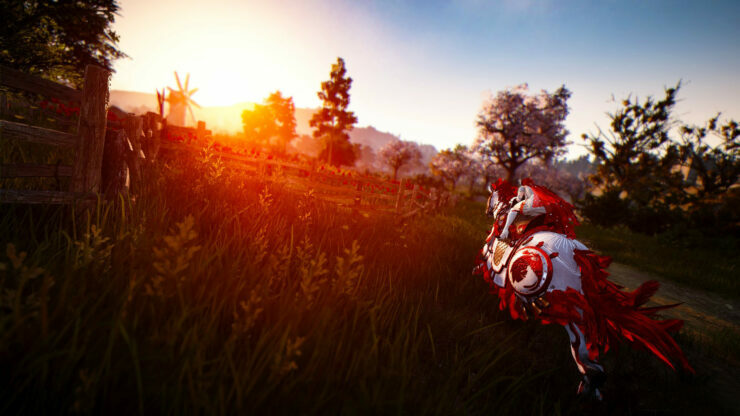 Western publisher Kakao Games and development studio PearlAbyss announced today that fantasy MMORPG Black Desert Online will be available via Steam starting on May 24th. It should be noted that pre-existing Black Desert Online users won’t be able to use Steam to play the game. In case you’re not familiar with the game, here’s an overview of its core features below. Robust Character Creation Tools – Make the character YOU want to play. Combo-Oriented, Non-Targeted Combat – Take part in fast-paced, action-packed combat with skills that can be chained through combos. Unique Weather and Climate – The weather and climate will have various effects on different zones that players can adapt to. Boss Hunts – Group up with friends or other players to hunt down field bosses and world bosses to get that rare loot. Siege Warfare – Massive free-for-all guild battles! Join a guild and participate in daily node wars or weekly conquest wars against many other competing guilds. Win the node or castle and claim it for a week to collect taxes to increase your guild funds. Ocean Contents – Craft your boat and make sail to the vast oceans to fish, hunt ocean monsters and bosses, underwater exploring and gathering, quest missions, trade, and so much more. Taming & Breeding – Catch and tame horses and elephants in the wild to make it your mount. You can also breed horses for better offspring with improved mount stats and skills. Crafting – Enjoy all aspects of crafting in Black Desert from tools, weapons, armor, jewelry, boats, costumes, outfits, and more. Just about everything can be crafted in the world of Black Desert Online. Profession – Take part and grow your character into a profession that can help your income. With professions like gathering, processing, cooking, alchemy, training, fishing, hunting, trading, farming, and sailing, you can choose to play Black Desert Online the way you want to. You may also check our review from last year. The game has been announced for PlayStation 4 and Xbox One a while ago, though there’s no launch date yet.